Summary: Difference Between System Clock and CPU Clock is that the processor relies on a small quartz crystal circuit called the system clock to control the timing of all computer operations. There is no difference between System Clock and Cpu Clock. Let’s Read about the system Clock so it can get crystal clear. 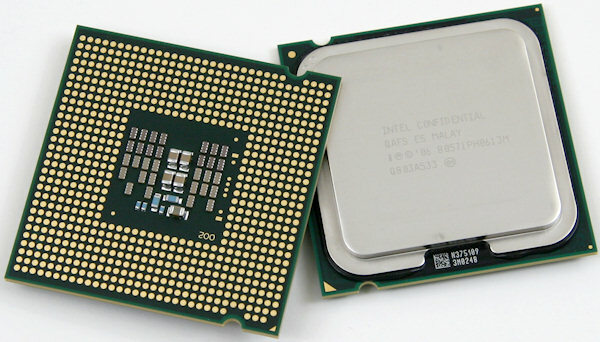 The processor relies on a small quartz crystal circuit called the system clock to control the timing of all computer operations. Just as your heart beats at a regular rate to keep your body functioning, the system clock generates regular electronic pulses, or ticks, that set the operating pace of components of the system unit. The pace of the system clock, called the clock speed, is measured by the number of ticks per second. Current personal computer processors have clock speeds in the gigahertz range. Giga is a prefix that stands for billion, and a hertz is one cycle per second. Thus, one gigahertz (GHz) equals one billion ticks of the system clock per second. A computer that operates at 3 GHz has 3 billion (giga) clock cycles in one second (hertz). The faster the clock speed, the more instructions the processor can execute per second. The speed of the system clock is just one factor that influences a computer’s performance. Other factors, such as the type of processor chip, amount of cache, memory access time, bus width, and bus clock speed. There is no difference in system clock and cpu clock the above area mentions all about System Clock and through this you will learn everything about system clock or CPU clock. Because both are same.